The extensive development of HCI technology has reached its limit due to diverse computing devices and human preferences. To deal with the problem, we need to actively and voluntarily integrate all-detected user’s intents to deliver optimal results to the user on diverse computing environments. In traditional HCI, a user receives a valid response from a computer only if the user accurately transmits intention to the computer using a very refined expression consciously in a single way. In human–computer cooperation (HCC) technology, a computer can understand intention of a user group using conscious input obtained by diverse input devices and types and unconscious responses obtained by physical response and environmental information through various wearable sensors. Through simple and intuitive inputs and interactive responses between a user and a computer, HCC technologies develop an interface which helps users to reach the clear results what users want. This special issue is soliciting high-quality technical papers addressing research achievements, practices and challenges for human–computer cooperation techniques. Original and research articles are solicited in all aspects of including theoretical studies, practical applications, new social technology and experimental prototypes. This special issue is soliciting high-quality technical papers addressing research practices and challenges in the areas of human–computer cooperation. It will reflect the state of the art of the computational methods, involving theory, algorithm, numerical simulation, error and uncertainty analysis and/or novel application of new processing techniques in engineering, science and other disciplines related to ubiquitous computing. Kim and Park  propose a new video quality assessment metric approach using intensity variation analysis. IV-based video assessments are applicable to real on-demand transcoding and streaming environments for taking its advantage of the short latency and low execution overhead while minimizing video quality degradation of transcoding. Ma et al. formulate and analyze one of optimization problems after briefly describing the trustworthiness determination strategies incorporated with the analysis of past experience and current profile to reduce latency. Stojmenovic et al. explain about the simple messages in communication on social media, and advertising it impacts people’s perceptions of website visual appeal and stability, which may impact future intentions. Huh et al. suggest a system that the equation of straight line and the user coordinates are used to find suitable prospect of medical facilities. The system offers a user-monitoring service so that it will be able to provide a variety of high-quality services by establishing a technical alliance with medical centers. Domínguez et al. present a human–computer cooperation platform, which permits the coordination between users and a tool to improve the development of real-time control applications. These applications have functional and temporal requirements to accomplish. García et al. propose a system to monitor the wellness state of people utilizing Likert scale to determine the state of a user through an emoticon-based human–computer interaction. The system is intended for domestic environments and measures the habitability conditions of the dwelling employing sensors. An algorithm is designed in order to establish how to measure those conditions and to calculate the statistics that allows tracking their progress. Zhao et al. present a novel optimal solution to deploy multi-channel connections with minimum energy costs and focus on saving energy consumptions in wireless communications. This solution is called intelligent multi-channel communication model, which is created to minimize the total energy cost when ensuring the performance meets efficiency demands. Chae et al. propose an approach using genetic algorithm to calculate weights, which are applied to estimate motions through Bayesian probability by considering the values of all axis after measuring user’s motions with a Myo. The approach consists of three steps: First, the Bayesian probability is calculated by considering the correlations of x, y, and z of the orientation of a Myo. Second, weights are determined by applying genetic algorithm. Third, motions are estimated through the Bayesian probability with the determined weights. Liu et al. propose a novel generative adversarial network, multi-scale multi-class generative adversarial network (MSMC-CGAN). It is a neural network based on conditional generative adversarial network (CGAN), and it is designed for realistic multi-scale character generation. MSMC-CGAN combines the global and partial image information as condition, and the condition can also help us to generate multi-class handwritten characters. The model is designed with unique neural network structures, image features, and training method. Lee et al. propose a method to identify the existence of personal information more efficiently and quickly among documents stored in image files on personal and corporate computers to prevent their leakage in advance. They improve the efficiency of personal information detection by classifying optical character recognition (OCR) features by recognition rate and deleting redundant ones to increase detection speed. In addition, the detection time was reduced using the reference frequency of the classified OCR features. Hao et al. propose an efficient OTC medicine recommendation strategy based on tensor decomposition. Considering the impact of regional differentiation, a third-order tensor including medicine, location, and rating is constructed. To infer the usage of a new OTC medicine in a certain location, high-order singular value decomposition is applied to the tensor for obtaining the intelligent recommendation. Kim and Moon  suggest an activity index model based on self-regulated learning and an activity index based on self-regulated learning. It is intended to provide a means to collect proof of what influences the teaching–learning activity. This model is intended to set a learning activity standard on the basis of general activity, interaction activity, and achievement activity by students. It will be possible to analyze the student’s participation level based on the activity index, which is based on self-regulated learning to induce participation in the teaching–learning activity and to recommend more appropriate learning activity elements. Song and Moon  propose an intuitive and highly accurate recommendation system by collecting personal data from SNS and eye-tracking data of the user. By analyzing eye-tracking and social behaviors, they formulate preference metrics to derive category preferences. Using the preference metrics, they yield user preferences for categories. In addition, they yield a final preference by combining and analyzing common categories between the eye-tracking and the social behaviors. In addition, they yield the similarity between users based on the category preferences using the Pearson correlation coefficients. Chen et al. present a preliminary study based on feature selection and statistical approach for driving behaviors analysis. Feature selection is one of the important and frequently used techniques in data preprocessing for big data mining. Feature selection, as a dimensionality reduction technique, focuses on choosing a small subset of the significant features from the original data by removing irrelevant or redundant features. Kim et al. propose a dynamic control technique to enhance the reusability of software components. In particular, this technique focuses on the reuse of software documents that are created during the software research and development processes. 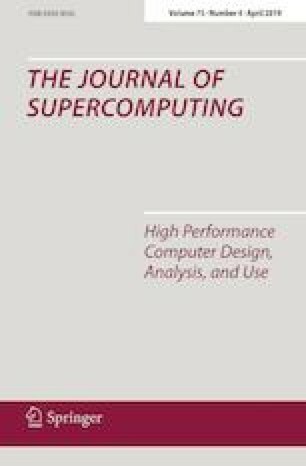 Our special thanks go to Editor-in-Chief of Journal of supercomputing, and all editorial staffs for their valuable supports throughout the preparation and the publication of this special issue. In addition, we extend our thanks to the external reviewers for their excellent help in reviewing the papers.